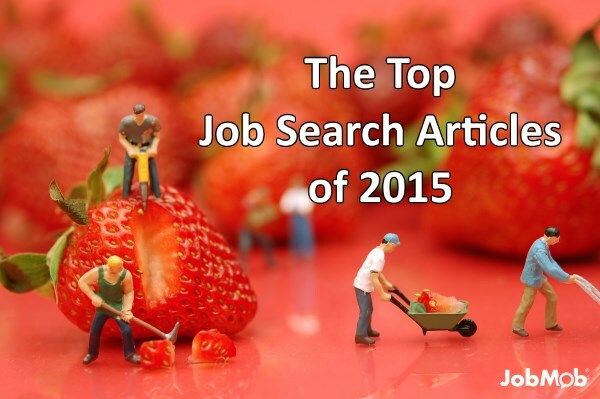 60 job search experts and bloggers' most popular job search articles posted this year. I asked the most well-known job search bloggers and experts for their most popular article of 2015, and they responded big-time! The list isn't ranked in any way. 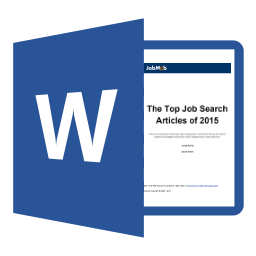 Free bonus: Download a categorized list of The Top Job Search Articles of 2015 for handy reference. Alison Green: how long can it take to hear back after a job interview? Barb Poole: What Are You Looking For In Your Career? Harry Urschel: Success is in the Follow-up! Teena Rose: How Does a Headhunter Get Paid and Who Does the Headhunter Work For? Angela Copeland: You’re making yourself look old. And, you don’t even know it. Karen Adamedes: What can you negotiate in your salary package? Subscribe to JobMob via RSS or email and follow me on Twitter for tips from the best job search experts online. Jacob, so glad I found your site. It seems like a great resource to refer to. I can’t wait to learn more from you. It is making me intrigued thinking that how I landed on your site. I was actually searching for using CDN really help to improve the performance of a website or just a buzzing word. So I found an article about CDN on themefoundry by Zack Tollman, and saw an insightful comment from you Jacob which leaded me here. Anyways, just watched over the huge list of top job bloggers along with their master pieces on your blog. And it’s indeed a list worth referring for. Though I see a lot of stuff here that can be useful and I’ll be reading through it gradually. Thanks a lot.